This month, we’re partnering with Jamie Oliver’s #FoodRevolution to celebrate real, fresh, nutritious food. We all know that our over-reliance on unhealthy, processed meals means that millions of us lack even the most basic skills to cook from scratch; let’s join Jamie and help keep cooking skills alive! Join the Food Revolution and get your very own starter pack of 10 recipes to enable you to cook good, nutritious meals. Let’s get cooking! Share recipes and kitchen tips to win! Help us get back in the kitchen! Each recipe or kitchen tip tagged #FoodRevolution enters you to win an autographed copy of Jamie’s new book. Meet at a Food Revolution Day × Foodstand event. Next Event: May 20th Cooking Demo at Union Square Greenmarket with Lululemon, Dig Inn, and Michael Moss! Share Recipes that can save our generation—To Win! Cooking even the simplest dish keeps us connected to our food—a necessity if we want to improve our health, our well-being and our food system. This month, use the Foodstand app to share simple recipes and kitchen tips that helped you get in the kitchen and cook. Share recipes and tips that made cooking easier, helped you get healthy, or helped you reconnect with your local farmer. 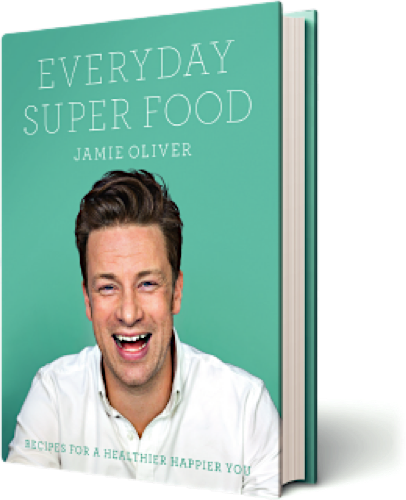 Share your #FoodRevolution recipes on Foodstand to be entered to win an autographed copy of Jamie's book. A revolution starts with a conversation here, an email there, so bring friends! For every friend you invite to join, we'll enter you to win a tasting box full of revolutionary food brands (and fellow Foodstanders).